Kurt Buschstarted sixth and finished fifth, scoring six bonus points. The State Water Heaters/Haas Automation driver said the car was a little bit loose early on, but he was up to third by lap seven. The No. 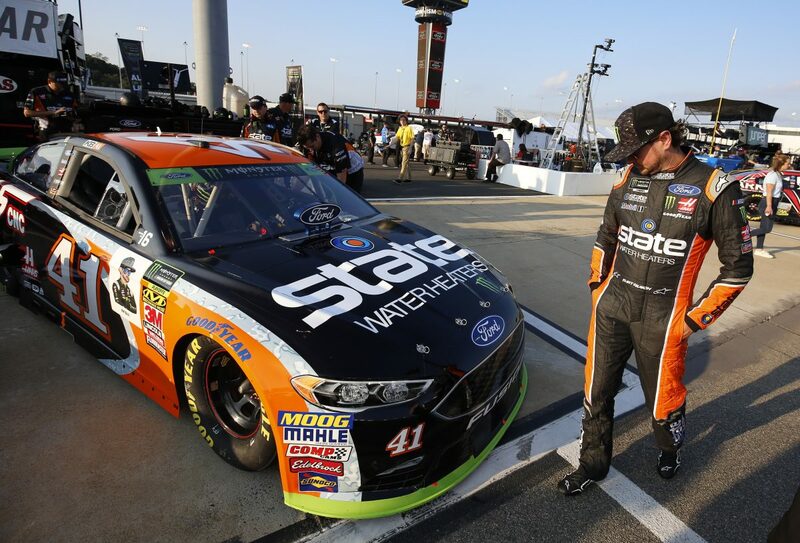 41 Ford was still loose late in the run, but Busch finished fifth. The State Water Heaters/Haas Automation driver pitted on lap 104 for four tires, fuel and a wedge adjustment. The No. 41 Ford was “just really loose” through the entire stage. The State Water Heaters/Haas Automation driver pitted on lap 203 for four tires, fuel and a track bar and tire pressure adjustment. Busch pitted on lap 268 for four tires, fuel and a tire pressure adjustment. He said the car lacked rear grip early on and now had no drive off. On lap 317, Busch pitted for four tires, fuel and a wedge adjustment while in 12thplace. Ten laps after Busch pitted, there was an untimely caution for an accident involving Jeffery Earnhardt. Busch was two laps down due to the pit cycles still going on. Busch got one lap back, but there were no more cautions, so Busch finished 18th. Busch finished fifth in Stage 1 to earn six bonus points. Kyle Busch won the Federated Auto Parts 400 to score his 50thcareer Monster Energy NASCAR Cup Series victory, his seventh of the season and his sixth at Richmond. His margin of victory over second-place Harvick was .777 of a second.